– Bet the maximum amount to win bigger payouts. 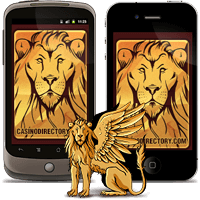 – Play all four cards for more chances of winning. – Always buy an extra ball if you have the chance to complete a winning pattern. – Make sure you read the rules, especially the pay table of winning patterns so you know what to expect. Electro Bingo from Microgaming software provider can be played at two excellent online casinos, namely 32Red Casino and Royal Vegas Casino. The former casino is owned and operated by a reputable UK company listed on the London Stock Exchange market. The casino is licensed in Gibraltar and it has been online since 2003. 32Red Casino is safe and trustworthy casino that uses top notch security measures and has its games tested for fairness on regular basis. Royal Vegas Casino was established in 2000 and it is licensed by the gambling jurisdiction of Malta. It is part of the well-known Fortune Lounge Group and offers a great deal of Microgaming-created games. New players can boost their bankroll with the excellent welcome bonus offer and if they have problems, they can contact the high quality customer support team.